A hot stone massage is a perfect way to relax, undergoing deep exfoliation, it will leave your body feeling totally calm and rejuvenated. If you have had a hard day, want to plan a girls spa weekend, a couples retreat or just want to try something different, then a hot stone massage is definitely for you. Here's what a hot stone massage entails. Smooth heated stones are placed on the body or used in the massage process, either as an extension of their own hands, or by placing them on the body while they massage other parts of the body. The heat can be both deeply relaxing and help warm up tight muscles so the therapist can work more deeply and quickly. The massage technique has been used throughout the ages, and stems from Native America. Hot stones were originally used by the Native Americans as a way to treat aching muscles. As stones retain their heat for quite a while, they would put them on the fire and would massage each other as they believed the process had healing properties. This technique was trademarked years later by a woman native to Arizona - Mary Nelson, making it an official form of treatment. From this word soon spread and now all types and variations of this massage are widely available. Be sure to speak up if the stones are too warm or the pressure too intense. And you can always ask them to stop using the stones if you don't like how it feels. If you like heat but not the stones, lava shells and steamed towels are another way to get heat into a massage. Here are the benefits of a hot stone massage. The Lymphatic System is a secondary circulatory system in our body. The hot stone massage promotes the returning of water and proteins from tissues into our bloodstream. The massage helps relax the ducts in the liver, promoting easier flow. This aids digestion, and smooth bowel movements. This is achieved through the process of sweating, and has the same effect that a sauna would have. It also has many circulatory benefits. The massage promotes flexibility in the body by relieving built up tension. Arthritis and carpal tunnel are just two conditions that hot stone massage can help with pain relief. 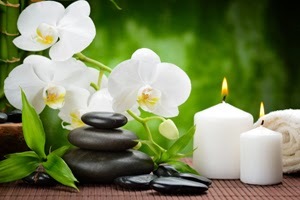 There are many different spas and outlets that offer hot stone massage and similar treatments. One specific spa that offers this treatment is the Eden Hall Day Spa. They offer a large range of treatments from massages to facials. The hot stone massage is a calming, authentic and extremely soothing treatment, make sure you book in for the experience. I am looking forward to try this massage. This is a great article and very informative. I think learning about health is very important because people should start living healthier life styles. With all the different illnesses these days people should watch their health as much as possible. There are a lot of technological advances that are helping researchers as well. Products like Hematology Stains can have the ability to help identity blood cells easier.